This chapter summaries the book and discusses potential extensions. 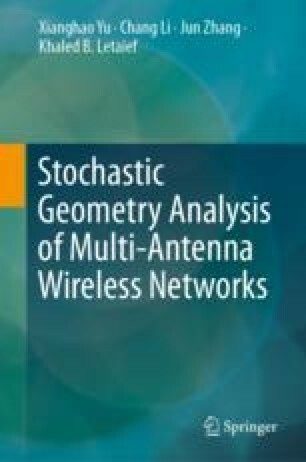 This book introduces analytical methodologies for large-scale multi-antenna wireless networks. The main analytical results presented in the previous chapters are first summarized. Then, extensions of the presented analytical framework are discussed from two aspects. More general network models are discussed in the first part, including more generic channel models, precoding/combining techniques, cell association strategies, and random spatial network models. Extensions to newly emerged application scenarios are then introduced in the second part, including unmanned aerial vehicle systems, physical layer security-aware networks, and vehicular communications systems.